Of the species assessed, 41% of the summer migrants, which travel north to the UK, are showing a long-term decline compared with 27% of the species that migrate south to winter in the UK. Half the UK’s wintering duck and wader species have been declining since the mid 1980s, most notably Pochard, Ringed Plover and Purple Sandpiper. 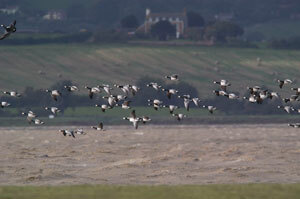 Contrastingly, however, the majority of arctic and sub-arctic breeding geese and swans have been increasing over the same period, with the two populations of Barnacle Geese doing particularly well. Those species faring worst are the summer migrants, such as Nightingale and Tree Pipit, which travel to the UK from the humid zone of Africa – stretching from southern Senegal to Nigeria and beyond. Over 70% of these species are in decline. Further news can be found here and the full report can be downloaded here.